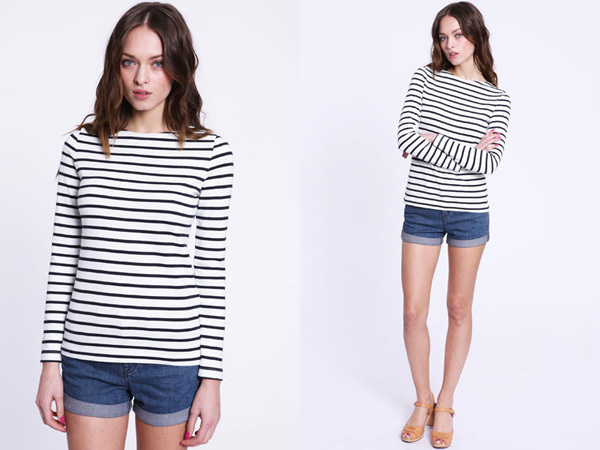 I definitely have a bit of a stripe thing going on in my wardrobe at the moment - they seem to have become my fashion default setting. 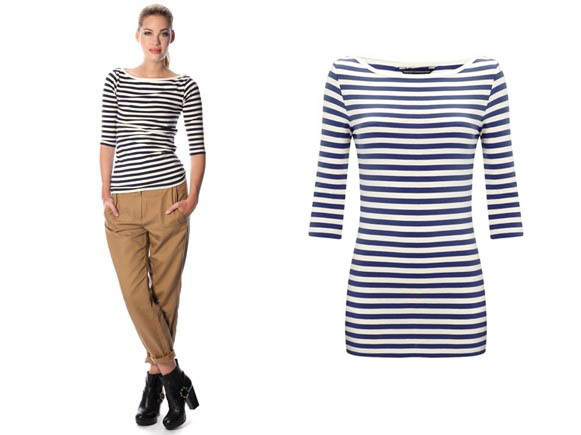 Available in many different guises, the perennial wardrobe staple, the Breton shirt, combines nautical style and French chic for effortless cost-per-wear dressing. Here are 5 of my favourites. 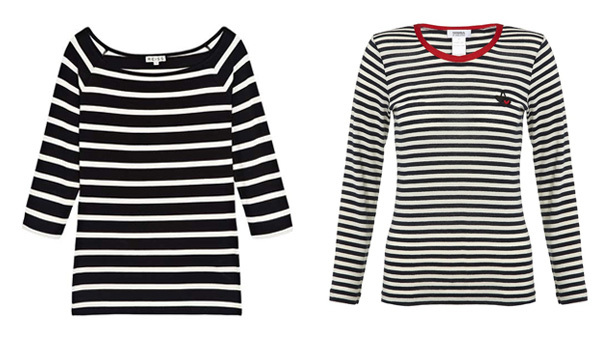 The Sonia Rykiel version (above right £149) comes in a cotton and wool blend. Combine it with skinny jeans or crisp white chinos.